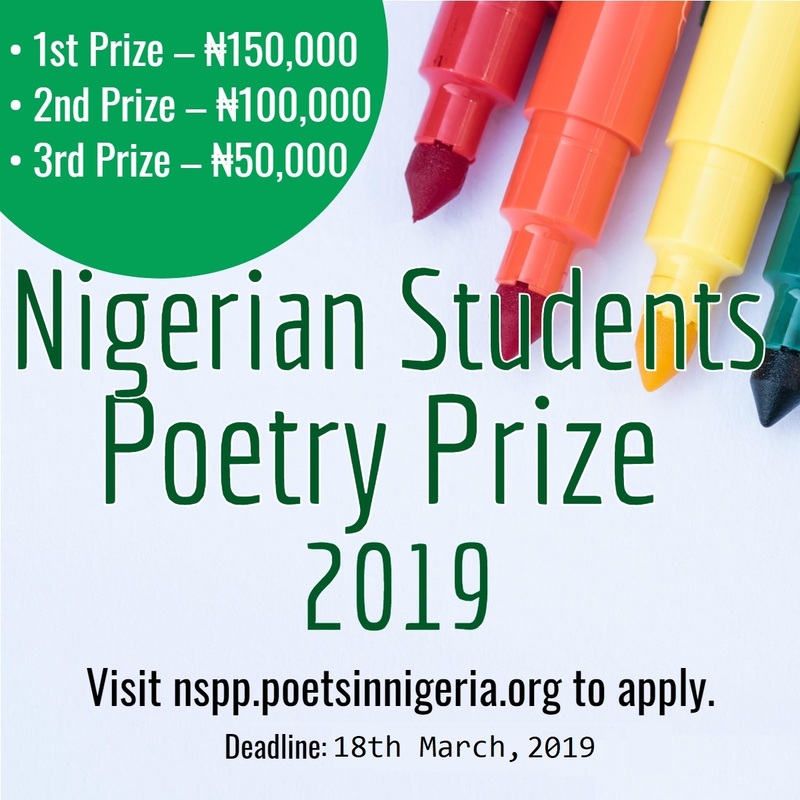 Poets in Nigeria (PIN) has extended the deadline for the fourth edition of the Nigerian Students Poetry Prize (NSPP) from Friday 15th March to Monday 18th March, 2019. This decision stems from the need to provide “consolatory time” for the anomalies experienced for many hours on the NSPP website on 13th and 14th March. Also, many students had issues paying for the anthologies and making use of the submission form. Prospective entrants are expected to maximize this period to pay for the anthologies either online or via transfer/deposit (Poets in Nigeria | Access Bank | 0759986028) and also make a valid submission. Since inception in 2016, the prize has received about 2000 entries from students representing over 100 tertiary institutions in Nigeria and abroad. For further enquiries, contact the moderator: 07034847164.